So I had to run into Stop & Shop (Giant) to snag a few fall product photos last week and what do I see to my massive surprise? 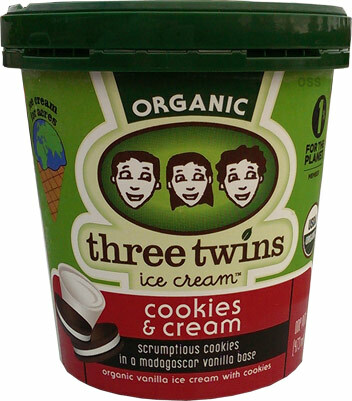 Three Twins Organic Ice Cream! Granted this particular S&S is the kind that actually has a small all natural ice cream selection, so this probably isn't in all of their stores, but I was super stoked to spy a flavor I haven't tried yet. The best part is, it's only $3.99 a pint! That's a buck better than the Whole Foods that is three minutes down the road. Sweet! Look at how dark the chocolate bits have changed base color! I'll admit it.... it was love at first bite. You guys know I adore when C&C is done right and this version nails it. 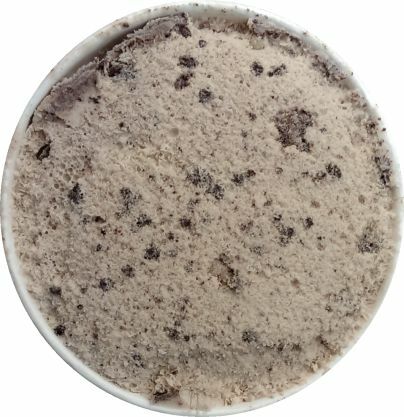 It's super high quality, the cookies taste fresh, and I just want to devour the whole pint. To be honest, I'm not even sure what else to say, but let's try anyway. Hmmm, I wonder if they've added a smidge of cocoa to the ice cream. There seems to be a little bit of that cocoa dryness to the base to help accentuate the cookie bits. It's nothing crazy, it's just appears to be one of those delicate touches to round out the experience. Now there are no huge cookie chunks but that's fine by me because the flavor is so complete. It's not some bland base where you dig and dig for cookies to get some added flavor. Don't get me wrong, I adore Oreo-like chunks in my ice cream, but there's more to a well made ice cream than just big chunks. This is how a true C&C ice cream should be and then big chunks can be an added bonus for some brands. Man this is hitting the spot, I really could eat the whole thing. It softened a bit on the way back from the store so it's got this great black & white milkshake vibe to it. Oh this is well done. I always say that the best companies respect the classics and three twins has done an excellent job respecting C&C. I love it, plain and simple. This might be my new favorite cookies and cream flavor. On Second Scoop: Man o man, this flavor is just the kind of old school awesome I could eat everyday. So simple, so flavorful, and so perfect. This one throws back to the days of my childhood. 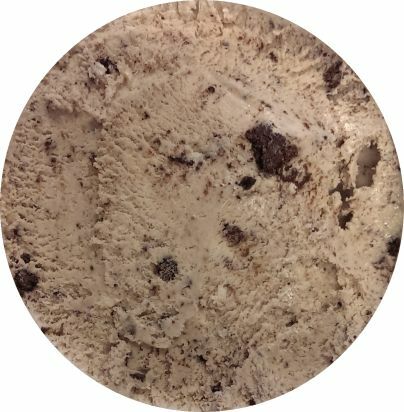 There's a simple milky flavor throughout, that bit of old school gritty ice cream texture, a nice lingering cookie wafer aftertaste, and I still think I pick up a hint of cocoa. It all comes together so well. I can't decide if I want to savor a million small bites or just inhale the whole thing. I'm forcing myself to turn this into a 3 serving pint just so I can have more relaxing snack break with it. Thanks for this flavor three twins, ya done good.